February 2019 | What Should We Do Today?  Looking for things to do in Columbus, Ohio this weekend? Here are over 35 family-friendly events happening in Columbus, and Central Ohio this weekend! 10:00 AM – Pickerington Area Kids Clothing & Toy Pop Up Shop – shop a huge kids consignment sale featuring baby gear, clothes, maternity wear, toys, bikes and more! Free admission! Check the link for opportunities to shop early and the 50% off sale. 10:00 AM – Forest Fridays at Sunbury Urban Farm – Forest Fridays include a 30 minute nature activity and free play time in the woods. Geared towards ages 2-5 with parent supervision. $5 suggested donation. 10:00 AM – The LEGO® Movie™ DAYS at Legoland Discovery Center (Columbus) – LEGOLAND Columbus is celebrating The LEGO Movie 2 with special building activities, character appearances, photo opps and more! 5:00 PM – First Friday in Delaware – This month’s theme is March for Art and includes art on display by students of Delaware City Schools. Participating downtown locations offer live music, artist demonstrations and more! 7:00 PM – Babe, The Sheep Pig at Columbus Performing Arts Center – CATCO for Kids presents Babe, The Sheep Pig, based on the movie Babe. Adult tickets are $15 and kids are $10. 7:00 PM – Pickerington Area Kids Clothing & Toy Pop Up Shop – shop a huge kids consignment sale featuring baby gear, clothes, maternity wear, toys, bikes and more! Free admission! Check the link for opportunities to shop early and the 50% off sale. 7:00 PM – Seussical the Musical at Olentangy Berlin High School Theatre – watch the OBHS Performing Arts Department in it’s first musical! Tickets are $15 for adults and $5 for children. Three performance times available this weekend! 7:30 AM – Westerville Lions Club Pancake Breakfast! at American Legion Auxiliary Unit #171 – this all you can eat pancake breakfast supports people with visual impairments. 8:00 AM – Maple Sugar Pancake Breakfast at Stratford Ecological Center – celebrate Maple Syrup season with a breakfast of pancakes, sausage and local maple syrup and a hike to the sugar shack to learn about the sugaring process and visit the farm animals. Registration required. 9:00 AM – Arnold SportsWorld Kid & Teens EXPO at Ohio Expo Center & State Fair – this event featuring sporting events, activities and competitions for kids and teens! Lots of hands on activities for kids. 9:00 AM – 2019 Central Ohio STEM Expo at Whitehall – Yearling High School- this is a free event for kids Kindergarten through 8th grade to explore STEM activities! 10:00 AM – Avant Garde Art and Craft Show – this annual event features artist and vendors with handmade items. Kids 12 and under are free. 10:00 AM – Nature Playdates at Sunbury Urban Farm – Nature Playdates include a 30 minute nature activity and free play time in the woods. Geared towards ages 5-8 with parent supervision. $5 suggested donation. 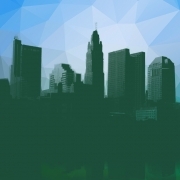 10:45 AM – CCS K-12 Summer Opportunities & Engagement Fair at Columbus Metropolitan Library – Columbus City Schools families are invited to learn about summer opportunities including camp information, enrichment opportunities, internships and more. There will be hands on demonstrations, giveaways, community resources and supervised activities for students in grades K-3. 11:00 AM – Millennium Academy of Irish Dance at Franklin Park Conservatory – youth dancers will perform Irish Step Dancing arrangements! There is a performance at 11:00 AM and 2:00 PM. 11:00 AM – Sensory Storytime at Pickerington Public Library – register in advance for the story time specifically for children with special needs focused on sensory activities in a sensory friendly environment. 1:00 PM – Family Fun Day at Eleven29 Events – parents can shop local vendors while kids participate in games, face painting, music and more! $5/child and adults are free. 1:00 PM – Babe, The Sheep Pig at Columbus Performing Arts Center – CATCO for Kids presents Babe, The Sheep Pig, based on the movie Babe. Adult tickets are $15 and kids are $10. 1:00 PM – Maple Time at Slate Run Metro Park and Living Historical Farm – sample maple syrup and learn about making maple syrup like they did in the 1880’s. There will be a hike to the sugar bush at 1:00 PM and 2:00 PM. 2:00 PM – Millennium Academy of Irish Dance at Franklin Park Conservatory – youth dancers will perform Irish Step Dancing arrangements! There is a performance at 11:00 AM and 2:00 PM. 2:30 PM – Babe, The Sheep Pig at Columbus Performing Arts Center – CATCO for Kids presents Babe, The Sheep Pig, based on the movie Babe. Adult tickets are $15 and kids are $10. 5:00 PM – CMA Comes Alive at Columbus Museum of Art – this event features activities for families to do together including a LEGO build, Transit Arts Dance Party, and a dinner buffet. Funds raised support free Sundays at CMA! 10:00 AM – Community Day at Franklin Park Conservatory – Franklin County and the City of Columbus residents can get in free to the Conservatory with a valid ID on the first Sunday of each month! 2:00 PM – Seussical the Musical at Olentangy Berlin High School Theatre – watch the OBHS Performing Arts Department in it’s first musical! Tickets are $15 for adults and $5 for children. Three performance times available this weekend! 3:00 PM – Kindness Rocks at Blacklick Woods Metro Park – decorate rocks and hide them throughout the park for others to find and enjoy! 3:00 PM – Walk & Woof at Glacier Ridge Metro Park – take your dog on a 2.5 mile hike through the park! 4:30 PM – Families in the Kitchen at Young Chefs Academy of Gahanna – this is a family cooking class for all ages! $25/person. 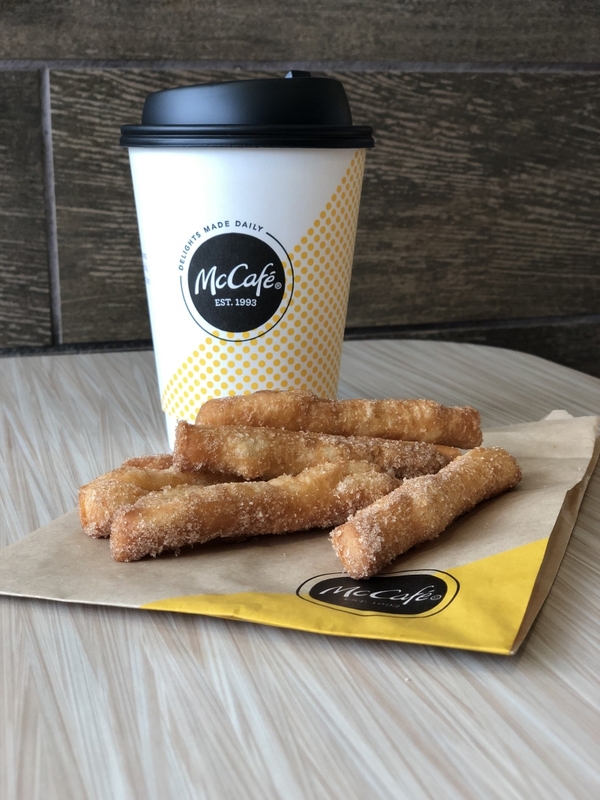 Your family is invited to a fun night out at the McDonald’s on Sawmill Road featuring McDonald’s newest menu item: Donut Sticks! Thanks to McDonald’s for sponsoring this post and this event! McDonald’s has released a new (temporary!) 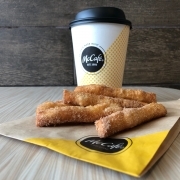 menu item: Donut Sticks! And I’m partnering with fellow blogger Nikki Seeley of SweetlyCbus to celebrate with a family friendly event featuring Breakfast for Dinner! 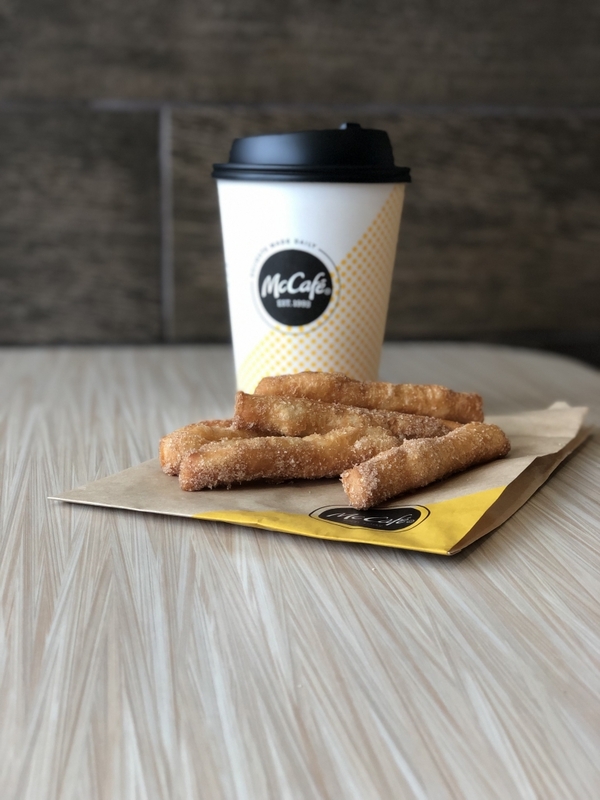 You family is invited to this free event that will include a DJ, giveaways, McDonald’s trivia and a sampling of the new donut sticks plus other breakfast items like McGriddles and Egg McMuffins, coffee and juice! See all the details in the Facebook Event. This event will take place at the McDonalds at 7190 Sawmill Rd, Columbus, OH 43235, which has a great play area for the kids! To celebrate we’re also planning some amazing giveaways that just might help your family gear up for a fun spring break staycation! When you come to the event, you will receive a raffle ticket to enter the giveaway of your choice. While you are there, we will have other ways to earn raffle tickets to increase your chances of winning! One of those ways is to click going in the Facebook Event – and then actually attend! We will have a list of those who RSVP’ed and when you show up, you will receive an extra raffle ticket! Here is a sample of some of the amazing raffle prizes we have collected so far! ◾️ A free birthday party at Skate America! ◾️ Family passes to Lazer kraze Gahanna! ◾️ A family pass to Columbus Museum of Art! ◾️ A family pack of tickets to Castaway Bay! ◾️ A free jumpstart clinic Goldfish Swim School! ◾️ A family pack of passes to AHA! A Hands-On Adventure, A Children’s Museum! ◾️ A family pack of tickets to Franklin Park Conservatory! ◾️ Meal & Drink vouchers to Forty’s Chicken & Waffles! ◾️ 4 Tickets to Disney On Ice! ◾️ 4 Tickets to Monster Jam! ◾️ 4 Tickets to Cinderella with BalletMet! Plus everyone who attends gets freebies from McDonalds , Goldfish Swim School and Daily Dental & Braces Bar! Who: Your whole family is welcome. What: A family friendly event that includes fun activities, free food, prizes, music and more! 7:00 AM – Hot Fudge Sundae Sale Weekend at Young’s Jersey Dairy – head to Young’s Jersey dairy to celebrate spring with $2.99 one dip Hot Fudge Sundaes and $3.99 two dip Hot Fudge Sundaes! This deal is only good Friday through Sunday! 9:00 AM – Walking the Dog Day at Blacklick Woods Metro Park – take a 2 mile walk with your dog! There will be treats for dogs and people! 9:30 AM – Toddler Play Time – Art Explorers at Creative Art Bar Hilliard – this event includes 2 hours of sensory based play plus crafting and art tables. Free coffee for the adults! Recommended for walkers through age 5. 9:45 AM – Drop In Music Class at Coffee Connections of Hilliard – WeJoySing will be hosting a drop in music class featuring music based learning! There are two class options 9:45 AM – 10:15 AM for 1-23 months or 10:30 AM – 11:00 AM for 2-4 years. $5/child $3/sibling. 10:30 AM – Drop In Music Class at Coffee Connections of Hilliard – WeJoySing will be hosting a drop in music class featuring music based learning! There are two class options 9:45 AM – 10:15 AM for 1-23 months or 10:30 AM – 11:00 AM for 2-4 years. $5/child $3/sibling. 11:00 AM – 2019 Dispatch Home & Garden Show at Ohio Expo Center – Bricker & Celeste Buildings — the Dispatch Spring Home and Garden Show takes place February 16-24th and has special programming for families on February 23rd. Saturday February 23rd is Family Day and features animals from the Columbus Zoo and more! 5:00 PM – $5 Friday Pony Rides with Cookie & Sugarcoat at Horse -N- Round Fun – ride mini horses for $5/person. There will also be a free petting zoo! 5:00 PM – Family Friday Night at COSI – COSI stays open late the last Friday of each month with reduced admission! 6:00 PM – Wildlife Observation Night at Blacklick Woods Metro Park – observe wildlife at night through the viewing window. 6:00 PM – Friday Family Fun Night at We Rock the Spectrum – Columbus – We Rock the Spectrum will stay open until 8:00 PM for kids to play, create crafts and burn off energy! 6:00 PM – Owl Hike at Glacier Ridge Metro Park – go on a one mile hike to look for owls. Ages 6 and up. 6:30 PM – Kids Night Out! at Young Chefs Academy of Gahanna – drop the kids off for a cooking class with hands on instruction! This week’s theme will be Candy Chemistry. Ages 8 and up. $35. 6:30 PM – Daddy Daughter Ball at piccadilly – this event includes dancing, time in the playspace, art projects, hors d’oeuvres and more! Register in advance. 7:00 PM – Disney’s The Little Mermaid for Nationwide Children’s Hospital at Palace Theatre – the Pleasure Guild of Nationwide Children’s Hospital presents Disney’s The Little Mermaide in a broadway-style production. All of the proceeds benefit Nationwide Children’s Hospital Hospice and Palliative Care Program. 9:00 AM – Waffle Bar! 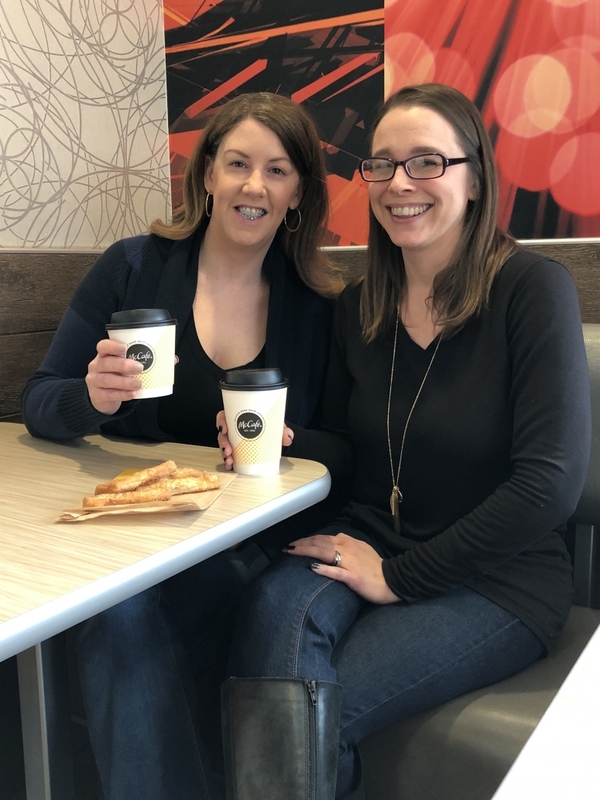 at Coffee Connections of Hilliard – enjoy a waffle bar with unlimited toppings plus juice and coffee for $5/person. 10:00 AM – 2019 Dispatch Home & Garden Show at Ohio Expo Center – Bricker & Celeste Buildings — the Dispatch Spring Home and Garden Show takes place February 16-24th and has special programming for families on February 23rd. Saturday February 23rd is Family Day and features animals from the Columbus Zoo and more! 10:00 AM – Memories and Masterpieces Day at Clay Street Ceramics – paint your own pottery with lots of kid-friendly options! Everyone who comes will receive a free box of M&M’s! 10:00 AM – Battelle Darby Creek: Winter Hike at Battelle Darby Creek Metro Park – take a 2, 4 or 6 mile hike along Big Darby Creek. Bring four non-perishable food items or make a $5 donation to Mid-Ohio Foodbank to receive a Metro Parks mug! 10:00 AM – PBJ & Jazz with Maggie Green Quintet at Lincoln Theatre – this event includes a family-friendly jazz performance plus lunch for the kids. Kid receive a PB&J sandwich, juice and a cookie. $5/person. There is a second performance at 11:30 AM. 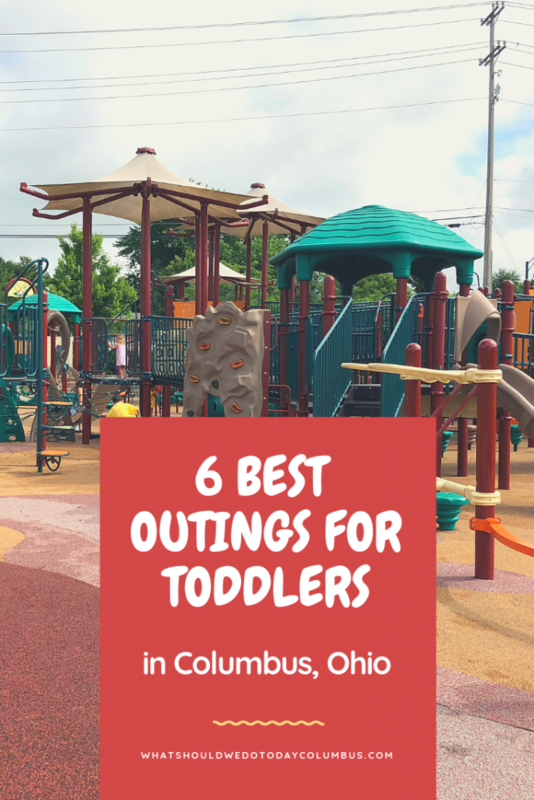 10:00 AM – Our Village: We Rock the Spectrum Play Date at We Rock the Spectrum – Columbus – join FIT4MOM Columbus North for a playdate at We Rock The Spectrum! $8 for children 12 months and older. You do not need to be a member of FIT4MOM to join in the fun! 10:00 AM – STEM Adventures at Kiddie Academy of Hilliard – this is a free community event where kids can explore STEM activities! 11:00 AM – Michael Roy’s Cirque du Papier at Franklin Park Conservatory – origami artist Michael Roy Baldridge will present folded paper creations! There is a second performance at 2:00 PM. 11:00 AM – Eagle Watch at Highbanks Metro Park – take a 3 mile hike to look for bald eagles! Ages 8 and up. 11:30 AM – PBJ & Jazz with Maggie Green Quintet at Lincoln Theatre – this event includes a family-friendly jazz performance plus lunch for the kids. Kid receive a PB&J sandwich, juice and a cookie. $5/person. 12:00 PM – Story Time with Cinderella! at Barnes & Noble Polaris – this is a free story time with Cinderella at Barnes & Noble Polaris! 2:00 PM – Disney’s The Little Mermaid for Nationwide Children’s Hospital at Palace Theatre – the Pleasure Guild of Nationwide Children’s Hospital presents Disney’s The Little Mermaide in a broadway-style production. All of the proceeds benefit Nationwide Children’s Hospital Hospice and Palliative Care Program. 2:00 PM – Michael Roy’s Cirque du Papier at Franklin Park Conservatory – origami artist Michael Roy Baldridge will present folded paper creations! 2:00 PM – STEM Adventures at Kiddie Academy of Reynoldsburg, OH – this is a free community event where kids can explore STEM activities! 3:00 PM – LEGO Club at Grove City Library – drop in to create a LEGO build following the theme that will be revealed at the program! 3:00 PM – Disney Movie Saturday at Westland Area Library – watch a Disney movie and have popcorn! Ages 10 and up. 11:00 AM – Kids Eat Free at City BBQ – kids eat free with and adult meal purchase for “Family Time” on Sunday all day long! If you buy a slice of Triple Chocolate Cake, City Barbeque will donate $1 to Nationwide Children’s Hospital. 11:00 AM – Sunday Family Funday at The Draft Room – this event includes free crafts for the kids and beer specials for the adults! Broke Johnny Food Truck will be on site with waffles! 12:00 PM – Pay what you WANT! 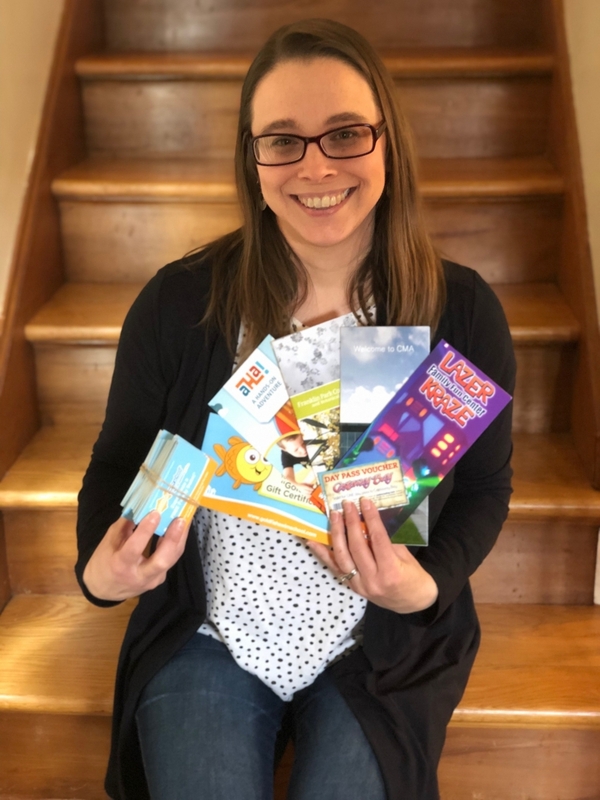 at Canvas Creations For You – Canvas Creations was recently affected by a flood that destroyed all of her inventory! At this event you can “pay what you want” to help replenish her inventory! You must register in advance for your seat! Kids ages 5 and up are welcome! 1:00 PM – Search for skunk cabbage at Blendon Woods Metropolitan Park – skunk cabbage is the first flower of the year and you can look for it in the park and learn about it’s medicinal uses. 2:00 PM – GPS Treasure Hunt at Sharon Woods Metro Park – use a GPS to search for hidden items off trail! Meet at the Natural Play Area! 3:00 PM – Concert for Kids: Fairy Tales and Dragons at Columbus Symphony – dress as your favorite character to hear music from Beauty and the Beast, Cinderella, How to Train Your Dragon and Frozen! There will be pre-concert activities beginning at 2:00 PM including a craft, instruments, conducting lessons, musical tattoos and more! Tickets available online.